school. And he hasn't recovered from the challenge. Our Waves Meet the Ocean Waves (Longhouse, 2013); Stone's Throw: Promises of Mere Words (Pinyon Publishing, 2016). Credits: "as far as the light goes" - Wind Chimes 26; As Far as the Light Goes (Juniper Press, 1990); Modern Haiku 21:3 (1990) [review]; Haïku sans frontières:une anthologie mondiale (1998) [André Duhaime, ed.] and Haïku sans frontières website; Lanterns (bottle rockets press, 2007) [Stanford Forrester, ed. ]; " music two centuries old" - Modern Haiku XIII:1 (Winter-Spring 1982) [Eminent Mention Award]; Brussels Sprout XII: 2 (1995) [article]; Breath Marks: Haiku to Read in the Dark (Canon Press, 1999); The Haiku Foundation Per Diem feature, edited by M. A. Walker, "Sounds of Music" (October 2014); "distant thunder" - [some versions vary slightly in format] Modern Haiku 6:2 (1975); Modern Haiku 7:2 (May 1976) [article]; Against the Linoleum (Yiqralo Press, 1979); Modern Haiku 11:1 (1980) [review]; The Haiku Anthology (ed. Cor van den Heuvel, Simon & Schuster, 1986); Wind in the Long Grass: A collection of haiku edited by William Higginson (Simon and Schuster Books for Young Readers, 1991); Woodnotes 10 (1991) [review]; Modern Haiku 24:3 (1993) [review]; Haïku sans frontières:une anthologie mondiale (1998) [André Duhaime, ed. ]; The Haiku Anthology (ed. Cor van den Heuvel, W.W. Norton Company, 1999); Breath Marks: Haiku to Read in the Dark (Canon Press, 1999); The Haiku Foundation's Montage (Week of July 26, 2009, "Birthdays"); Montage: The Book (The Haiku Foundation, 2010); Haiku in English: The First Hundred Years [edited by Jim Kacian, Philip Rowland, and Allan Burns] (W.W. Norton and Company, 2013); My Favourite Haiku chosen by David Cobb (New Zealand Poetry Society website); "coffee" - Against the Linoleum (Yiqralo Press, 1979); Cicada 3:4 (1980); Modern Haiku 11:1 (1980) [review]; The Haiku Anthology (ed. Cor van den Heuvel, Simon & Schuster, 1986); Blithe Spirit 8:4 (1998) [article]; Haïku sans frontières: une anthologie mondiale (1998) [André Duhaime, ed.] and Haïku sans frontières website; Breath Marks: Haiku to Read in the Dark (Canon Press, 1999); The Haiku Anthology (ed. Cor van den Heuvel, W.W. Norton Company, 1999); Modern Haiku 31:2 (2000) [review]; The Haiku Foundation's Montage feature (Week of July 26, 2009, "Birthdays"); Montage: The Book (The Haiku Foundation, 2010); Haiku in English: The First Hundred Years [edited by Jim Kacian, Philip Rowland, and Allan Burns] (W.W. Norton and Company, 2013); "fog" - New World Haiku 1:4 (1974); Without the Mountains (1976); Seer Ox 5 (1976) [critical essay by Joseph Earner, "Haiku Skin & Bones"]; Cicada 1:4 (1977); Modern Haiku 8:1 (1977) [review]; The Haiku Anthology (ed. Cor van den Heuvel, Simon & Schuster, 1986); Favorite Haiku Volume 2 [edited by H.F. Noyes] (Red Moon Press, 1999); Modern Haiku 18:3 (1987); Brussels Sprout 9:2 (1992); Haïku sans frontières: une anthologie mondiale (1998) [André Duhaime, ed.] and Haïku sans frontières website; Snow on the Water [Red Moon Anthology 1] (Red Moon Press, 1998); Breath Marks: Haiku to Read in the Dark (Canon Press, 1999); Modern Haiku 35:2 (2004) [cited in article]; The Haiku Foundation's Montage feature (Week of July 26, 2009, "Birthdays"); Montage: The Book (The Haiku Foundation, 2010); Haiku in English: The First Hundred Years [edited by Jim Kacian, Philip Rowland, and Allan Burns] (W.W. Norton and Company, 2013); "hand to hand" - Woodnotes 22 (1994) Editor's Choice; Before All The Leaves Are Gone (Juniper Press, 1996); The Haiku Foundation Per Diem feature (October 2012) [Ruth Yarrow, ed., theme: "Hands"]; Tom Clausen Home Page [Web], Favorite Haiku (January 2015); "I lean" - Cicada 1:4 (1977); Breath Marks: Haiku to Read in the Dark (Canon Press, 1999); "time to go" - Before All The Leaves Are Gone (Juniper Press, 1996); Woodnotes 29 (summer 1996) [review]; The Haiku Anthology (ed. Cor van den Heuvel, W.W. Norton Company, 1999). 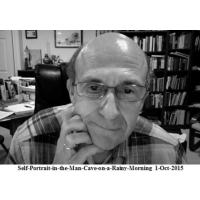 Gary's Hotham's Haiku Registry page was created on October 3, 2015 and updated on July 16, 2018.